ADELE - ROLLING IN AWARDS! 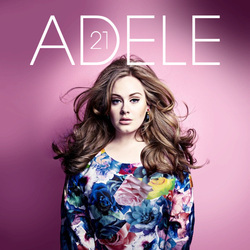 Hailing from Tottenham, North London, Adele is well and truly a household name over here. And rightly so. The 23-year-old is being hailed as Britain's most successful singer - no doubt due to her recent Grammy 'sweep' collecting six awards, including 'Record of the Year' and 'Song of the Year' and the fact that her second album, 21, sold over 5.5 million copies in the US last year. She seems to have become the poster child for 'crossover appeal'. She's the kind of artist countless wannabe's imitate at TV talent competitions, her music can be found in CD collections across the country, from rural jukeboxes to urban nightclubs. The irony is most Americans had no clue what she actually sounded like until she opened her mouth to give thanks at the Grammy's. Explaining her award-winning album was inspired by a "rubbish relationship" in one speech and then confessing that a bit of '"snot" had just escaped her nostril in another there was no mistaking her London roots. Accent or no accent we're just glad the soulful performer didn't lose her voice for good and has been awarded for her true, authentic talent.